Incentive packages are determined by type of business, quality of jobs created or retained, wages paid, capital investment and overall community impact. Projects may also be eligible for State and/or local incentives. 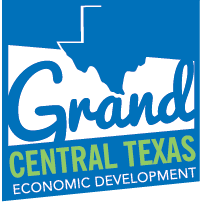 The communities of Grand Central Texas Economic Development Partnership are ready to work with you to identify the incentives available for your potential Central Texas location. Communities and Counties in the region offer property tax abatements to certain types of businesses based on primary job creation and investment. The guidelines allow for up to 10 years of abatement on real property and fixed improvements. Criteria may vary between communities but at a minimum, the project must increase the value of the property and create or retain jobs. All tax abatement applications are subject to Council/commission approval and should be submitted prior to the start of construction. The Texas Enterprise Fund attracts new businesses and assists growing existing business in the state. The fund is the largest “deal closing” fund of its kind in the nation. Projects that are considered for Enterprise Fund support must maximize the benefit to the State of Texas and realize a significant rate of return of the public dollars being used for economic development in Texas. Capital investment, job creation, wages generated, financial strength of the applicant, applicant’s business history, analysis of the relevant business sector, and federal and local government and private sector financial support of a project are all significant factors in approving the use of the Enterprise Fund. The award amounts have generally been in the range of $1,000 up to $10,000 per job created. Cities have the ability to nominate projects for the Texas Enterprise Zone Program. The city may nominate up to six projects per legislative biennium, with a statewide cap of 105 projects per biennium. Upon the city designating a business as an Enterprise Zone project, and upon that project’s designation being approved by the state, the business is eligible for a refund of state sales and use taxes paid and used at the qualified business site. The total amount of any refund is predicated on the total investment and number of jobs created or retained by the project. The refund is allocated on a per job basis, not to exceed 500 total jobs, that ranges from a minimum of $2,500 per job to a maximum of $7,500 per job. Leased or purchased machinery, equipment, replacement parts and accessories that have a useful life of more than six months and that are used or consumed in the manufacturing, processing, fabricating or repairing of tangible personal property for ultimate sale, are exempt from state and local sales and use tax. The Skills Development Fund is an innovative program created to assist Texas public community and technical colleges in financing customized job training for their local businesses. The fund is administered by the Texas Workforce Commission. Grants are provided to help companies and labor unions form partnerships with local community colleges and technical schools to provide custom job training. Average training benefits are $1,000 per trainee. However, the benefit may vary depending on the proposal. Texas companies are exempt from paying state sales and use tax on electricity and natural gas used in manufacturing, processing or fabricating tangible personal property. The company must complete a predominant use study that shows that at least 50% of the electricity or natural gas consumed by the business directly causes a physical change to a product. The communities within Grand Central Texas may offer cash and/or land grants. This chapter of the Texas Local Government Code authorizes Texas municipalities, both home-rule and general law municipalities to provide assistance for economic development. Texas cities may provide monies, loans, city personnel, and city services for promotion and encouragement of economic development. Texas businesses are exempt from paying state sales and use tax on labor for constructing new facilities or on the purchase of machinery exclusively used in processing, packing or marketing agricultural products by the original producer at a location operated by the original producer.